Digitized data are sent from the telescope to the control building through the optical fibers. 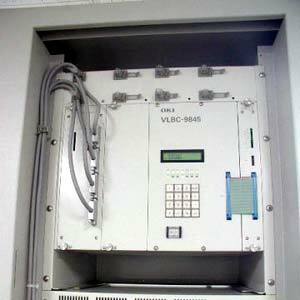 In order to process the data, digital backends are installed in the control building. 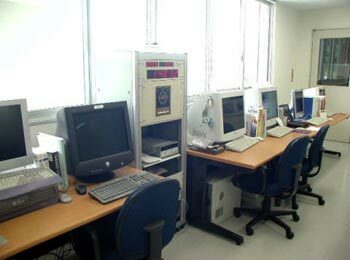 Regular observations are done automatically, being remote-controlled from the Array Operation Center (AOC) at Mizusawa station. Operation computers at stations interpret observational schedules and send commands to antenna, receivers, digital backends, etc. They also monitor the statuses of instruments and transfer them to the AOC through internet. Digital filter is a computerized filtering system that has large flexibility in selecting number of streams and bandwidths. The VERA digital filter works at the data rate of 1 Gbps (Giga-bit per second), providing a total bandwidth of 256 MHz for dual-beam data. Selectable bandwidths are 8 MHz, 16 MHz, 32 MHz, 64 MHz, and 128 MHz, and the total number of streams are determined by the selected bandwidth so that the total bandwidth is 256 MHz. Left is the computer board which performs filtering calculations. Right is the exterior view. 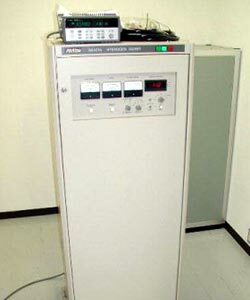 The OCTADISK (HDD recorder) with a capability of recording and playing data rates up to 4096Mbps is developed to replace currently used tape recording system. 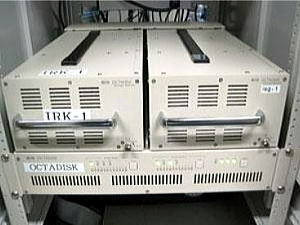 In order to correct for the path difference in dual-beam system, noise sources are mounted on the main reflector and weak radio noises are injected to the dual-beam receivers. The cross-correlation between dual-beams are monitored on real time to perform precise calibration of path length differences in dual-beam system. 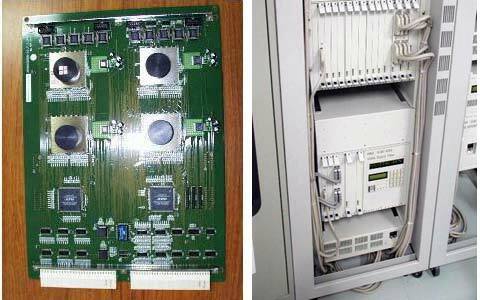 Digital spectrum analyzer produces total power spectrum with a resolution of 1024 channels per one band at maximum. 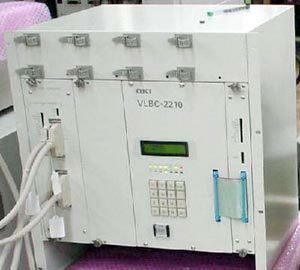 This is used for checking the spectrum and for single-dish observations as well. Hydrogen maser provides us the highest stability as a frequency standard, allowing us to have a coherent cross-correlation between VLBI stations, which are too far from each other to have cable connections from a common standard clock. 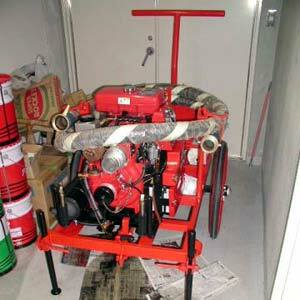 The water-pump is not for the case of fire, but for washing telescope after strong typhoons to avoid rusts by sea airs. (c) since 2000. All right reserved.